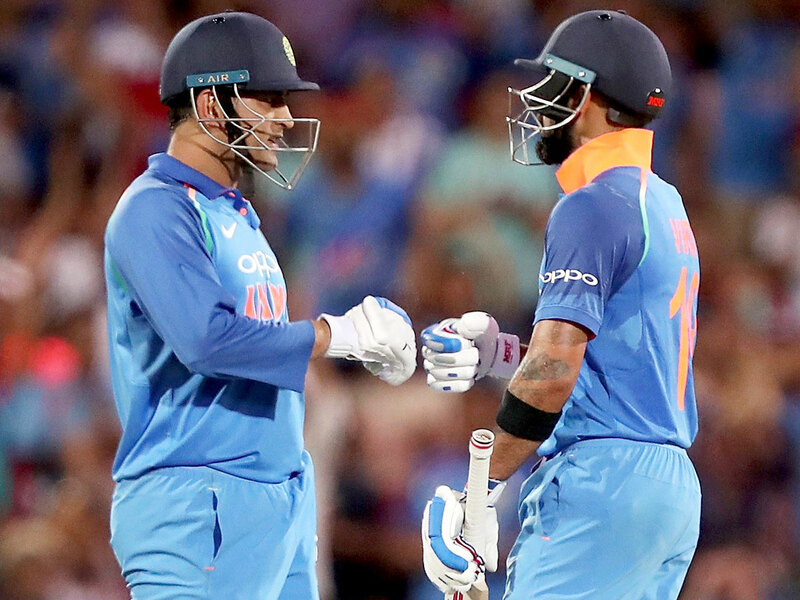 Sydney: Virat Kohli smashed his 39th one-day international century as India claimed a dramatic six-wicket victory over Australia at a sweltering Adelaide Oval on Tuesday to level up the three-match series at 1-1. Skipper Kohli contributed of 104 of his side's runs as they successfully chased down their victory target of 299 for the loss of four wickets to send the series into a decider on Friday at Melbourne Cricket Ground. "Very pleased," Kohli said afterwards. "It was a really tough day. M.S. in the end was tired as well. We need a good day's rest, a good day's travel and then we'll recuperate and get ready for the MCG." Shaun Marsh had earlier scored a sparkling 131, his second century in three outings in the format, to drive the hosts to 298 for nine in their 50 overs in the heat of the afternoon when temperatures soared well above the 40 degree Celsius mark. "I think we hung on really well," said Australia captain Aaron Finch. "But when you come up against a side that's in form like India ... you know you have to keep taking wickets and when the old pro Dhoni is there at the end it's tough." Finch won the toss for the second successive match but that was as far as his luck went and he departed for six as he did on Saturday when the hosts won the series opener in Sydney by 34 runs. That triggered an Australia collapse with Marsh lasting only two more balls before becoming Kumar's third victim and the home side able to add only three more runs at a cost of four wickets.